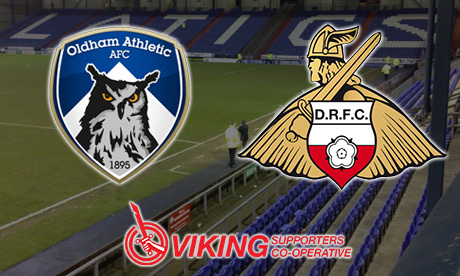 Rovers’ latest League One test is their final away game of the season at Oldham Athletic. “[Changes] wouldn’t really be performance related, we don’t feel anyone has let us down in terms of that. If there was to change it would be on merit or to have a look at certain things. “Oldham will be very motivated. We need to be more ruthlessness if you look at the Oxford game that would be the key thing. The assistant manager confirmed there are no new injury concerns but there is a bit of “wear and tear” from a few individuals after playing a high volume of games. Former Rovers midfielder Richie Wellens will be the man in the opposite dug-out as he aims to keep Oldham in League One after taking charge in September 2017. Tics striker Eoin Doyle is the fifth-top goal scorer in League One after netting 15 goals for Wellens’ side. The 30-year-old striker is on loan from Championship club Preston. Should Oldham draw or beat Rovers then that will send MK Dons down and help the Tics’ bid for survival, however a win for Rovers would keep Oldham right into the relegation mix.